True Grit Tattoo is a shop based in Albuquerque, NM. Born out of a passion for art and a vision for an exceptional tattoo experience. The shop is elegant and upscale, yet manages to emit a comfortable, relaxing vibe. The inviting atmosphere makes for easy lounging while waiting for an appointment or collaborating with artists. Johnny Mac’s mission for True Grit is to stand out in the best way. His focus is not just on astounding art, but also on providing a unique and caring environment to everyone who walks through the doors. It’s beyond the ordinary and not just another “McDonald’s of the tattoo world”. There’s almost 40 years of combined experience within these walls. The varying styles of True Grit’s talented artists ensure anyone can step in and get a piece they’re proud to wear. If you’re looking for a custom tattoo, you’ll find that here. 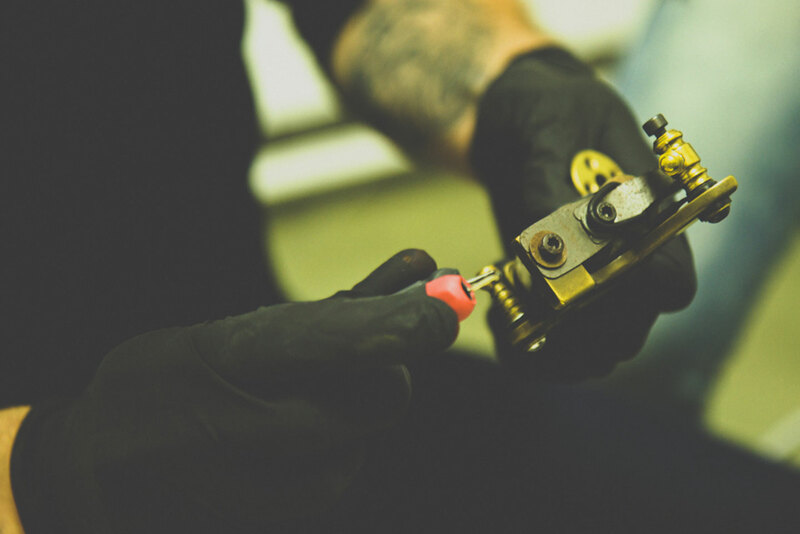 Our artists are adept at teaming up with clients to create one-of-a-kind, personal tattoos. If you’re already set on a design, we’re happy to work with that as well. We welcome appointments and walk-ins. If you want talent that fits your aesthetics, a clean and comfortable shop, and above-average service and attention, this place is for you. Stop in, meet our artists, and prepare for a refreshing and new take on the usual tattoo experience. We can be contacted by telephone or email. If email, please include which artist you would like to work with and when you would like to come in for a consultation.